What is a DrupalCamp? What is Drupal? 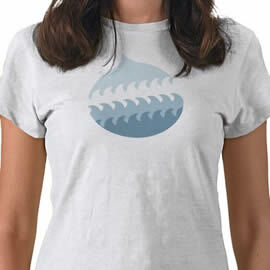 Drupal is a free open-source content management system (CMS) written in the PHP programming language. DrupalCamps are community sharing + training events for Drupal enthusiasts, especially for newbies. DrupalCamp LA is now in its third year. Free! really. Thanks to our amazing sponsors, we’re pretty sure our costs are covered. We still have a few loose ends, and we were originally setup to take between $5-$20 for addmission… and unless we’ve missed something, it appears our costs will be covered. Our goal is to have a world class event focused on bringing community together. As the camp size grows, so do our costs. Folks at UC Irvine stepped up with a camp venue. They use Drupal. But if previous camps are an indication, we’ll quickly outgrow our original attendee estimates. The more people we allow, the more (large) rooms need to get rented. Plus projectors and audio, insurance, etc. etc. More of anything means more cost. If at the end of the camp we have money left over – we’re planning on giving it back directly to the community. We’ll share details once we’ve collected all our sponsor checks and our bills are paid. We don’t know yet. We’re expecting anticipating at least as many as last year, which had 435 registered. But we have six rooms that can be utilized, three of which have very large capacity. We expect we can comfortably accept up to 600 people … with a limit of 444 in the largest room. Why do I need to create a profile on this site? Everything about you related to DrupalCamp LA is here. We’ll pull your full name for your conference badge from here, along with some other information to make meeting like-minded people easier. You also need it to pick sessions. Why do I need to Pick Sessions? Short answer: It’s integral to the camp. We need you to do it. Pick up to eight sessions for each day you’re attending. Long Answer: Picture this. You’re at DrupalCamp LA, there are some post-its on a wall placed there by potential presenters. There are also some different size rooms and we have limited time. But instead of a few dozen people there are hundreds. The goal is to match community interest with proposed topics and still keep a small event feel. How? 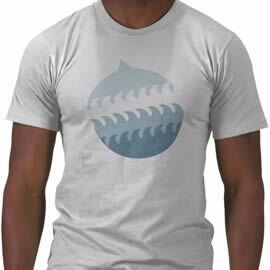 Use Drupal. You pick what sessions you are going to attend. Then we can generate a master schedule to best match space and time restrictions. No more people hanging out of doorways or huge rooms with only three people. Lastly, a day or three before camp, you’ll need to update your schedule. Some sessions may be dropped, others may have conflicting times. Go fix it. Based on updated results we may move sessions to different rooms. It also allows us to make changes on the fly during the camp. And the best part, everyone can easily stay up-to-date. Just glance at your laptop to view your profile schedule or use your iCalendar capable device and you’ll have a real-time personalized schedule. Can I register more than one person at once? Unfortunately, no. Each person’s profile holds their conference registration information. (This was also originally setup this way so we could accept payment for registration – but is no longer necessary). Will I receive any registration materials in the mail? No, everything is handled online. Show up with an ID that matches your registration. We’ll send you a few emails leading up to the conference, but that’s it. Then when you sign in at DrupalCamp LA all you need to do is provide your registration info. Can I pay with a purchase order/check/cash? We are only accepting PayPal at this time. Paypal does not require you to signup with them before paying and accepts all major credit cards. If for some reason you CANNOT pay via PayPal (International restrictions etc) please send an email to the camp organizer via our contact form. Yes! We usually have a track for beginners. Can I still become a sponsor of DrupalCamp LA? Yes! Check out the different packages here and contact us. Can I sponsor LA Drupal meetups? What do Session Presenters need to know? Have a question not answered here? Please ask us in the Forum or contact us.